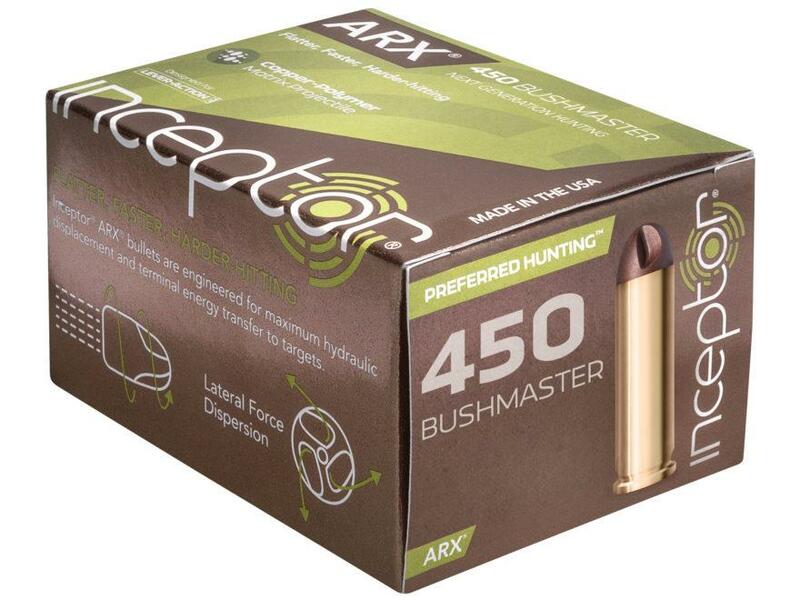 The Inceptor Preferred Hunting line features the patented ARX bullet, a non-expanding projectile that is lighter, faster and has low recoil while retaining a flat trajectory. Its fluted design ensures exceptional reliability and terminal performance. The ARX is a universal hunting projectile. The projectile is injection-molded from a specially blended polymer-copper matrix that is designed to be tough enough to penetrate soft tissue. And when it encounters tougher barriers, it breaks apart to reduce the risk of over-penetration.